The east coast rail franchise is just the latest acquisition by the government since the financial crisis, which has also seen the state nationalise a number of the UK's largest banks. The French seem to put it best: "deja vu" or "plus ca change..."
All changed yet little has changed at all. Passengers arriving at King's Cross station for Saturday's inaugural East Coast service from London to York were bemused at the sight of TV cameramen chasing Transport Secretary Lord Adonis along the platform. They almost certainly missed the new company logo adorning the train they were about to board. Peeled off was the National Express sticker and in its place was the imaginatively titled East Coast logo, which took over the running of the east coast rail line from midnight. For the rest though, it's much the same. Same timetable, same prices, routes, same staff and same food. The one notable change will be the scrapping of the hated £2.50 reservation fee if you want to be assured of a seat in Standard class. The erstwhile franchisee National Express simply couldn't afford to run the service from London to Scotland's east coast any longer. It had paid too much - £1.4bn over seven years - and then suffered a further double whammy of soaring fuel prices and a deep recession. So last summer a new state run company, Directly Operated Railways - trading as East Coast - was set up to arrange the orderly but temporary handover of control from National Express, which came into effect on Saturday. 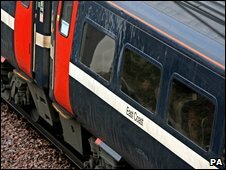 The state will benefit by pocketing the money from ticket sales without having to pay a penny for the franchise, and few have complained about the government (ie taxpayers) earning money off the back of rail commuters - at least until the east coast franchise return to private control in two years. The key question though is whether passengers will notice any improvement in services over the next 24 months. "We've asked about 6,000 passengers who use the East Coast route at the moment what they'd like to see improved and we're getting back a very clear message," said Anthony Smith, chief executive of Passenger Focus. "Number one is keeping pressing on performance - keep getting more trains to arrive on time. "Number two is value for money - people are very conscious about some of the fares they have to pay and these have in some cases really rocketed over the last years. "And thirdly more capacity - more seats so that passengers don't have to stand on shorter journeys and are more comfortable when the trains are getting a bit more crowded". The government has to tread a difficult line in how this re-nationalised east coast line is to be run. If it's too good, there will be strong calls for the rest of the rail network to be operated by the state. If it's too poor, the government and the Department for Transport in particular will be heavily criticised for incompetence, though it's playing down any talk of further nationalisation. 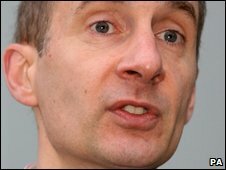 "This is not the time to have massive institutional upheaval in the rail industry," said Lord Adonis on today's maiden journey. But the transport secretary and his department won't be running this operation day to day. That's left to a new company - operating at arms length from the government - not unlike the way UKFI runs the state's shareholdings in banks such as Lloyds and RBS. Ultimately though it will be the passengers and not Whitehall appointees who decide whether this state run service is any good or not. And it probably won't matter what colour the livery is or even what the service is called.